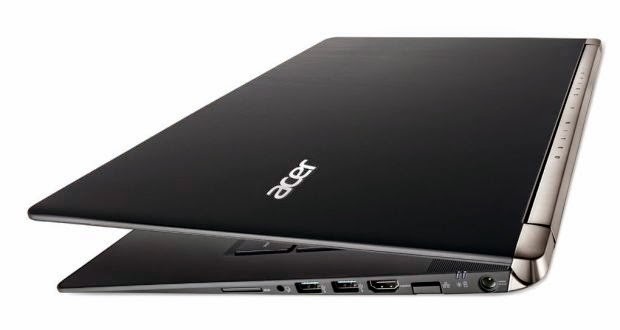 "Acer" computer company announced another new version of the series laptop computers, "Nitro Aspire 17" Aspire V 17 Nitro, a dedicated type of laptop computers for amateur video games. The most distinguishing feature of this new version of laptops, is that it supports three-dimensional "RealSense" and announced by the "Intel" Company earlier, where she said it: as the first three-dimensional camera work technique "sensing depth", as the camera it includes unit pick up bilateral and three-dimensional images to make the cameras are able to see the depth in the form similar to the human eye. One of the characteristics of these cameras "RealSense" It allows users to track the movement to implement some commands through gestures performed by the user, as they are also three-dimensional scans of the elements of the ocean in front of her, using a sensor infrared. According to the "left" that the new Hasabha will be equipped with mobile applications allow the user to take advantage of the new three-dimensional cameras, and the most prominent of these applications 3DMe which allows Msthaddm work and create a three-dimensional model of him and contrAs it will also add the famous game "Wario In" Warrior Wave, which will be pre-installed on the laptop, where they will benefit from a three-dimensional cameras RealSense the user can use the controls in the feature game characters through gestures. Zsov be the size of a laptop screen, "Esper 17 Nitro" with a measurement of 17.3-inch screen, which supports a display resolution of Full HD high and at a resolution of up to 1080 × 1920 pixels, in addition to the i7 of the fourth generation of the "Intel" Core processor, and RAM storage up to 16 GB. As for the graphics card, it will be one of "NVIDIA" GeForce GTX ", where he has a memory storing random Virtual up to 4GB, and the memory of internal storage with a capacity of 1 TB, with the" DVD "drive also supports the" Blu-ray "engine. And will be announced a new mobile computer "" Aspire 17 Nitro "Aspire V 17 Nitro" in exhibition games CES 2015, which will be held in America in the sixth month of January.ol in the virtual world.